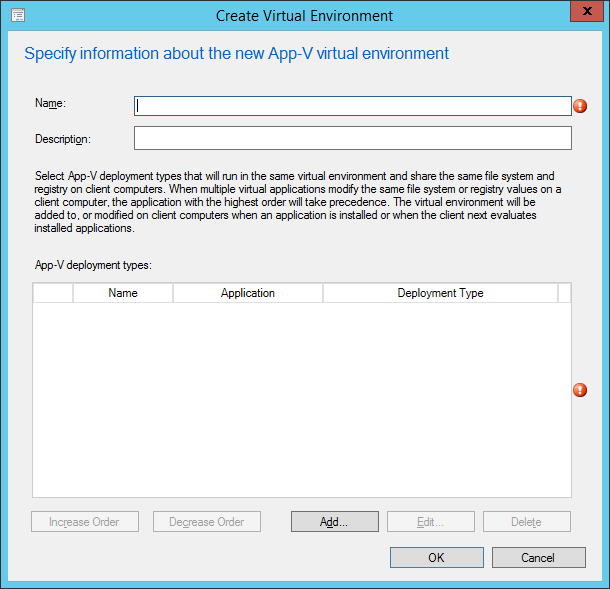 As requested by one of my readers, the following is an article on integrating App-V with SCCM 2012 R2 along with Virtual Environments. The following steps are from the following TechNet article (http://technet.microsoft.com/en-us/library/jj591609.aspx), with the addition of screenshots by me. 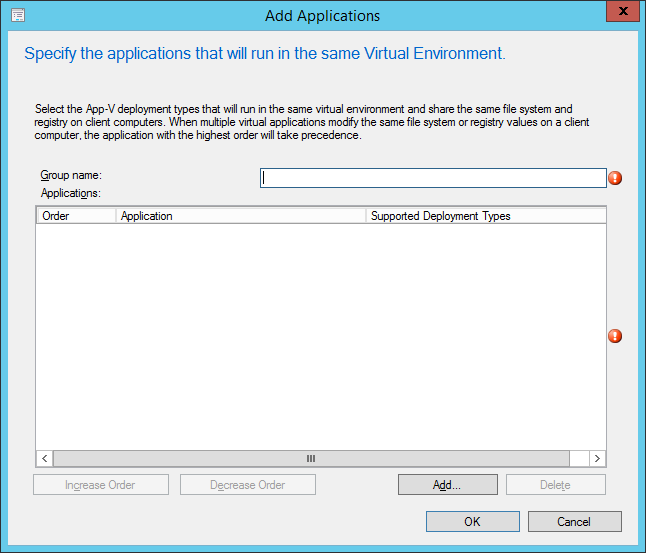 Microsoft Application Virtualization (App-V) virtual environments in Microsoft System Center 2012 Configuration Manager enable deployed virtual applications to share the same file system and registry on client computers. This means that unlike standard virtual applications, these applications can share data with each other. Virtual environments are created or modified on client computers when the application is installed or when clients next evaluate their installed applications. You can order these applications so that when multiple applications try to modify a file system or registry value, the application with the highest order takes priority. In the Software Library workspace, expand Application Management and then click App-V Virtual Environments. In the Home tab, in the Create group, click Create Virtual Environment. Name: Specify a unique name for the virtual environment with a maximum of 128 characters. Description: Optionally specify a description for the virtual environment. 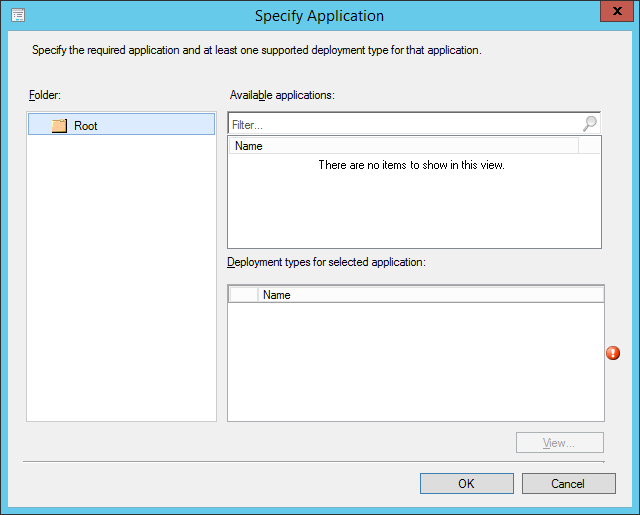 Click Add to add a new deployment type to the virtual environment. You must add at least one deployment type. In the Add Applications dialog box, specify a Group name of up to 128 characters that you will use to refer to this group of applications that you add to the virtual environment. 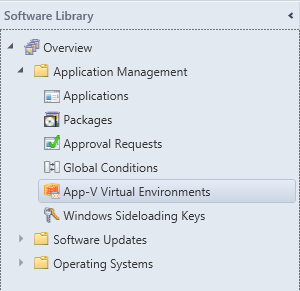 Click Add, select the App-V 5 applications and deployment types that you want to add to the group and then click OK. In the Add Applications dialog box, you can click Increase Order or Decrease Order to specify which application will take priority if multiple applications attempt to modify file system or registry settings in the same virtual environment. Click OK to return to the Create Virtual Environment dialog box. When you have finished adding groups, click OK to create the virtual environment. 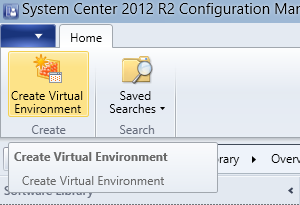 The new virtual environment is displayed in the App-V Virtual Environments node of the Configuration Manager console. You can monitor the status of your virtual environments by using the report App-V Virtual Environment Status. 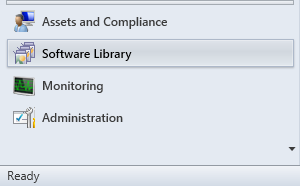 NOTE: The virtual environment will be added or modified on client computers when the application is installed or when the client next evaluates installed applications. As always, if this post helped you in any way, and you would like to show your appreciation, please rate it and comment on it. Also, feel free to contact me (via the About Me page) with requests for future articles. Thanks for completing my request on the above. No problem, sorry for the delay. If there is anything else you want me to cover, or if this post doesn’t quite cover everything you need/want, let me know and I’ll either add to it, or post another article extension.